The president of Brazilian state oil company Petrobras (Petroleo Brasileiro) Maria das Graca Foster has resigned along with five of the company’s top executives in the middle of a corruption scandal involving billions of dollars. The managers who have resigned are remaining anonymous, but the board will elect a new CEO on Friday, February 6, the companysaidin a statement. The investigation that began in 2014 has resulted in allegations of price fixing, bribery and kickbacks. According to Brazilian federal prosecutors, the top managers received got a three percent kickback on transactions worth $3.7 billion and perhaps more than $28 billion from Petrobras coffers. Investigators named 39 former and current employees as suspects, including 22 top managers from the country's six largest construction companies involved in joint projects with Petrobras. However, no formal charges have yet been brought. Graca Foster isn’t among those involved in the case. However, she was repeatedly accused of doing nothing while being aware of irregularities in the company. Foster denied being aware of the wrongdoing. She had already made two attempts to resign. Foster’s weakening positions became even shakier after last week’s report for the third quarter of 2014 published without an independent auditor’s approval and without any assessment of damage from the corruption. Petrobras said last week that the corruption was a huge factor in wiping out $78 billion of its net asset value since September. Petrobras is currently the world’s most indebted oil company, and the Brazilian government said it may provide payments to bondholders if the oil giant isn’t able to. Shares of Petrobras soared more than 15 percent on the stock exchange in Sao Paulo on the news of Gracas Foster’s resignation. 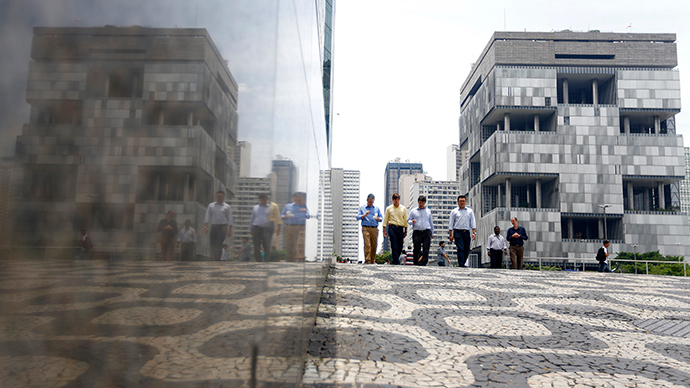 But the spurt was short lived as it will take time to restore investor confidence in Petrobras. Rafael Cortez, a political analyst at Tendencias Consultoria Integrada in São Paulo told the WSJ it won’t be easy to replace the previous administration. According to Cortez, Foster’s successor needs to possess at least two characteristics that don’t always match: credibility in the eyes of investors and the trust of President Dilma Rousseff. The recent corruption scandal is a major challenge for Rousseff’s new economic team and a major stumbling block for Brazil’s economy, which is already facing slowing growth and a growing deficit. A recent survey of economists says GDP growth is expected to be just 0.13 percent in 2015 at best. Meanwhile the president is battling to cheer Brazil’s fading economy and the nation’s deteriorating finances to preserve its investment-grade credit rating. Credit rating agencies Moody’s and Fitch both downgraded the oil firm’s rating in the past week, further compromising its ability to access international investment. Meanwhile, the success story of Maria das Gracas Foster is considered one of the most outstanding in Brazil. She spent her childhood in favelas, the slums of Rio de Janeiro, collecting waste paper and aluminum cans to earn a living. In 1978, she arrived at Petrobras as an intern, and gradually began to climb the career ladder before becoming CEO in 2012. Graca Foster became the first woman at the helm of an international oil company. In 2012, she was in Time magazine’s list of the 100 most influential people in the world, and appeared in Forbes’ 20 most powerful women in the world.